YWAM Ships Newcastle has been operating the s/v Ruach in the Milne Bay Province of Papua New Guinea since mid October, 2017. During that time we have been engaging with leaders at both a provincial and national level to determine where our assistance will be most beneficial. Below is a short update from Natalie Moore who recently volunteered with us aboard the s/v Ruach. “I spent 7 weeks aboard the s/v Ruach as First Mate delivering training services to coastal communities. Originally, I only intended to be with YWAM Ships Newcastle in Papua New Guinea for a month, but seeing the need of the country, I felt compelled to resign from my teaching position in Australia to stay aboard the ship and commit for an extended period of time. 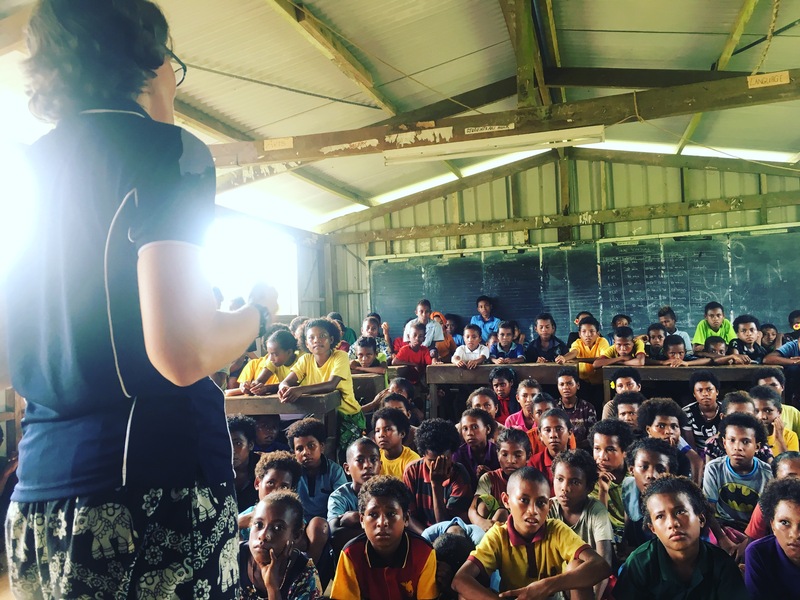 I took the opportunity to join both my passions – sailing and teaching – to help in a project making a powerful impact in the nation of Papua New Guinea. During my period aboard the s/v Ruach, we sailed to different islands, joining local events, reaching out to the population – for example through hospital tours – and sharing our experience through English classes or sail training. As a teacher, I delighted in seeing the deckhands I trained proudly demonstrating their recently acquired skills and knowledge. My time on the s/v Ruach wasn’t only about sailing, I enjoyed the opportunity to alternate (with the crew that wanted to be involved), between ship-keeping duties and school visits. Sailing was hard work, our longest journey being 46 hours, of which I was awake for 33 of those hours! However, it was worth it to be part of the pioneering phase with YWAM Ships Newcastle.